Your family’s dental care can get costly. No one understands that better than a dentist! That’s why Dr. Young wants to make sure you know how dental insurance can reduce this expense. And when you see a dentist that is in-network on your plan, those costs just might be reduced even further. You’ll be glad to know that Dr. Young is in-network on several of Aetna’s plans. You are in luck if your employer offers dental coverage with Aetna, one of the largest providers of dental insurance in the United States. You work for a company that understands the value of dental health! Be sure to take full advantage of your benefits by scheduling regular preventive dental care including cleanings and exams for each member of the family. 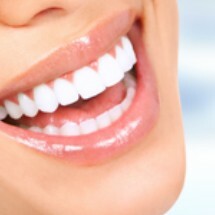 Aetna offers four types of dental insurance plans. 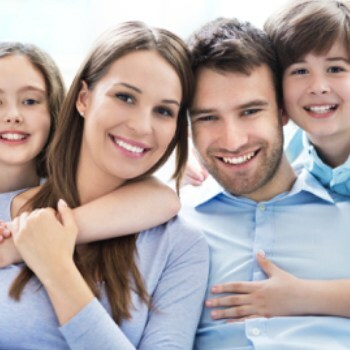 Each one is designed to provide cost savings on the dental care your family needs every year. Do you have a question about your plan? You can check the Aetna website or speak with the insurance specialist in your employer’s human resources department. Also, our front office staff is familiar with all of the Aetna plans. Please don’t hesitate to call or ask the next time you’re here for a visit. It doesn’t matter which Aetna plan you have, because you can almost always count on having to pay less when you see a dentist that is in-network. 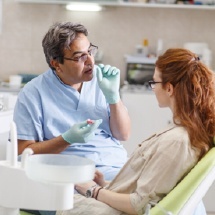 But you need to remember that most dental insurance plans, including Aetna’s, provide benefits within a specific time period—usually one year. Your plan may also have annual deductibles, maximums and lifetime limits for certain services. (Aetna’s DMO plan does not require a deductible or have an annual maximum.) Our team will be glad to work with you to make sure you get the most out of your benefits without exceeding the maximum in a year. When you need help with your Aetna dental insurance benefit plan, Lori is the person to talk to in the office. She has been a member of the team for many years and knows exactly how to help you get the most out of your dental insurance coverage. Lori is passionate about helping patients get the care they need within their budgets and without any added stress of dealing with the dental insurance claim forms. Don’t hesitate to call or talk to Lori during your dental office visits. She’s always happy to help.